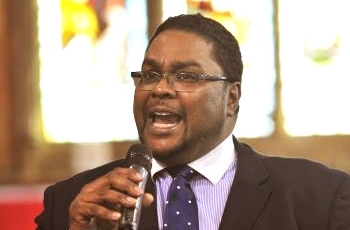 Desmond Jaddoo, of the Birmingham Empowerment Forum (BEF) has twinned his project with OBV to help get the black community to register to vote in time for the election of the new Police and Crime Commissioner (PCC). The Black Voter Registration Campaign was launched in October by OBV and Black-led Churches and has been galvanizing people since. With the different agencies coming together we have had a bigger scope. My radio show has also helped spread the message out and the listener’s feedback has been very positive. People from the Church have passed the information on to universities and other regions of the west midlands, and over half of those we have registered have been from outside Birmingham. It is even more important that there are campaigners like Jaddoo helping people with the process because the forth coming PCC election will be using the Supplementary voting system which is new to Birmingham but more familiar to regions that have directly elected Mayors. They have been spreading information on how it works by directing them to www.aboutmyvote.co.uk. These issues will not be prioritised unless the people they concern voice their opinions and hold those responsible to account. He wants constructive dialogue between the BME community and the PCC. The areas mentioned above have particularly strained the relationship between the police and the BME community so introducing a competent PCC could go along towards restoring the trust of the community back in the police force. Voting in someone who is concerned and committed to tackling these issues will help challenge many of the assumptions the minority community have of the police and vice versa. But this can only happen if people vote. The West Midlands Police Commissioner candidates are: Matt Bennett (Conservative); Bill Etheridge (UKIP); Cath Hannon (Independent); Bob Jones (Labour); Ayoub Khan (Liberal Democrat); Mike Rumble (Independent); Bishop Derek Webley (Independent).